Macau | Badudets Everything Nice! I saw the teaser for this week’s episode of Boys Over Flowers in ABS-CBN. The Korean F4 invaded Macau. The episodes were shot in Macau, China. I suddenly got excited after I saw that they toured The Ruins of St. Paul and The Venetian Macau. They even watched Zaia. I will definitely watch the episodes this week to reminisce my Macau Day Tour last May. On our first visit to Hong Kong, we went to Shenzhen, China for a day tour. This time, it will be Macau, China. 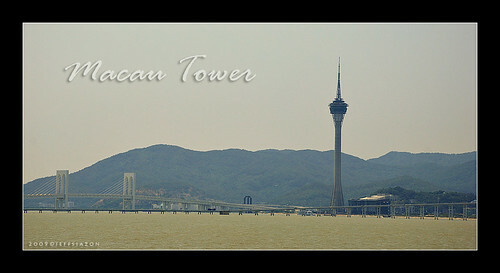 Macau is an hour away from Hong Kong and can be reached by ferry or “catamarans”. From HK Taisan Guesthouse, we walked along Haiphong Road to get to the China Ferry Terminal in TST where the First Ferry is located. The First Ferry runs from 7 am until midnight and ticket prices range from HKD 150-180 depending on the days (weekdays and holiday prices vary) and time. If you’re coming from Hong Kong island, you can ride the Turbojet from the Shun Tak in Sheung Wan. No visa is required when travelling to Macau. Hong Kong dollars are widely accepted in Macau, in fact, it has an almost 1:1 ratio. Macau casinos only accept Hong Kong dollars while shops and transportation systems like buses and taxis accept Pataca or Hong Kong dollars.